For history buffs who won't settle for a trip to the museum or a good book, the Internet offers a treasure trove of artifacts you can own—if you've got significant money to spend. Part of Door Picked up by cable Str. 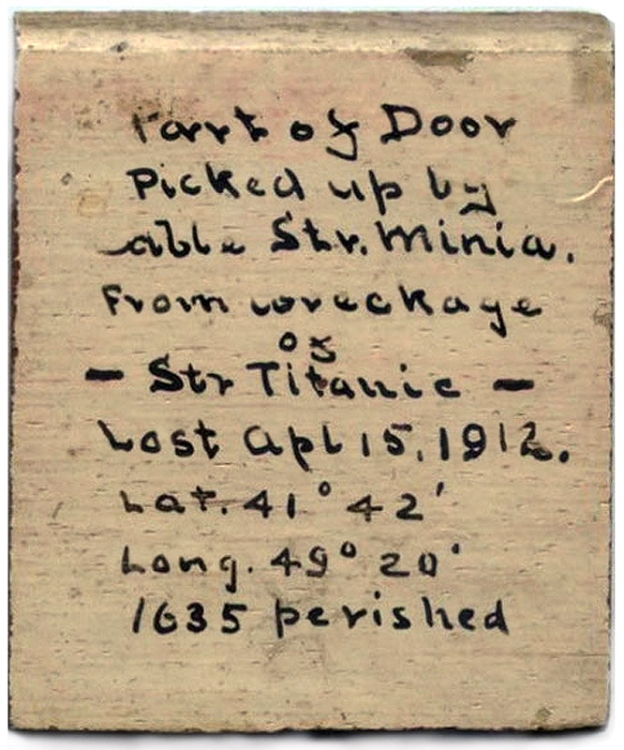 Minia from wreckage of Str Titanic Lost Apl 15, 1912. Lat 41° 42’ 49 Long. 49° 20’ 1635 perished. Curiously available for sale from the New York Times gift store—where you can also pick up an adorable crossword-printed cookie jar for $19.99—the piece of wood comes "with complete report from a top forensic expert who authenticated the item more than a decade ago and who theorized that this piece of Titanic door was to one of the fabled staterooms in the epic floating palace." The Times gift store also stocks a number of collectors' items for sports fan with cash to burn. 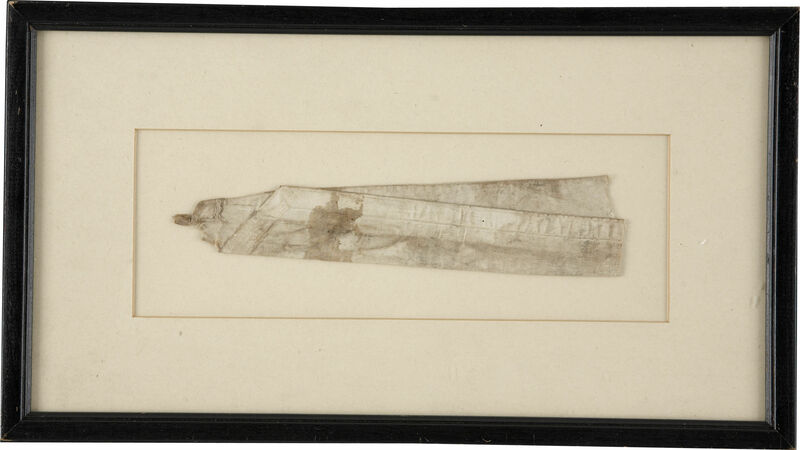 The highest ticket item they have—beating out other autographed artifacts by big names like Babe Ruth, Ty Cobb and Mickey Mantle by significant margin—is this mortgage voucher for a home Jackson bought in 1916 in Savannah, GA. Shoeless Joe—banned from baseball after the 1919 Black Sox scandal, despite debatable innocence—was illiterate and, painstakingly, signed just a few items in his lifetime. This is one of three known vouchers that passed from Jackson's widow to her sister in the 1950s and comes framed with an iconic photo of Jackson. 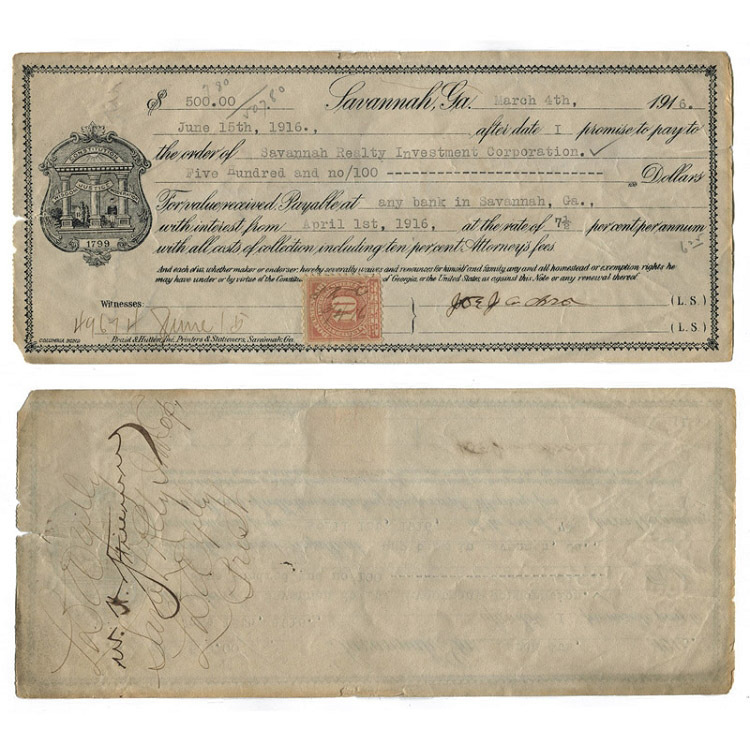 In 2013, this letter sold for $8663.75 to the Ukrainian Institute of America at The Fletcher-Sinclair Mansion, but now it's back on the market. 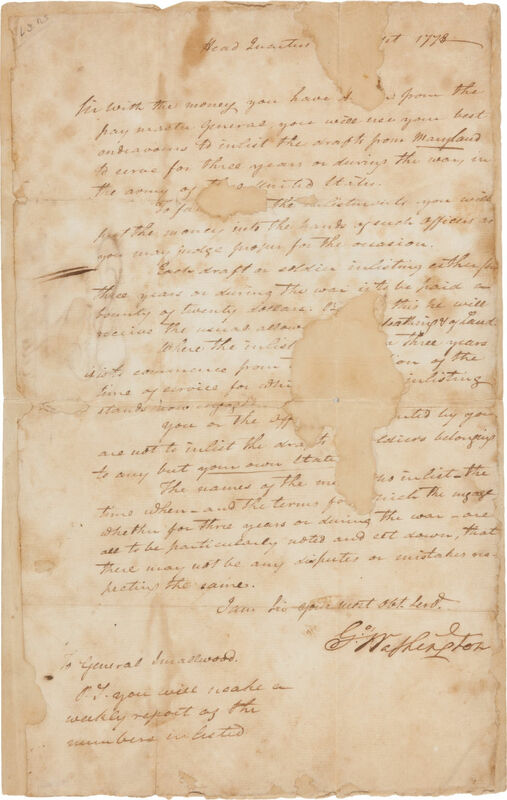 The contents of the October 21, 1778, letter to General William Smallwood concern routine Revolutionary War business: Washington is writing to urge Smallwood to "inlist" more troops in Maryland. Although much of the text is lost to damage, Washington's signature remains bold and bright. For $200,000, you also get a framed ensemble of copy photos of Ferree at various ages; a file of miscellaneous related material; and a detailed, notarized affidavit signed by his daughter-in-law, Erna C. Ferree. Each flight astronaut shall be permitted to carry certain items of a personal nature in his APK [Astronaut Preference Kit] on each manned space flight mission for use by him as personal gifts for his immediate family and relatives (wives, children, parents, in-laws, brothers and sisters) or close friends. No more than one article may be given to one individual. This particular Lunar Module Astronaut Preference Kit was carried by Gene Cernan, the last man to walk on the moon, during Apollo 17. He took it to the moon in December 1972. Cernan has handwritten on the front, "Flown Lunar Surface Gene Cernan" and "A-17/To Lunar Surface EAC." 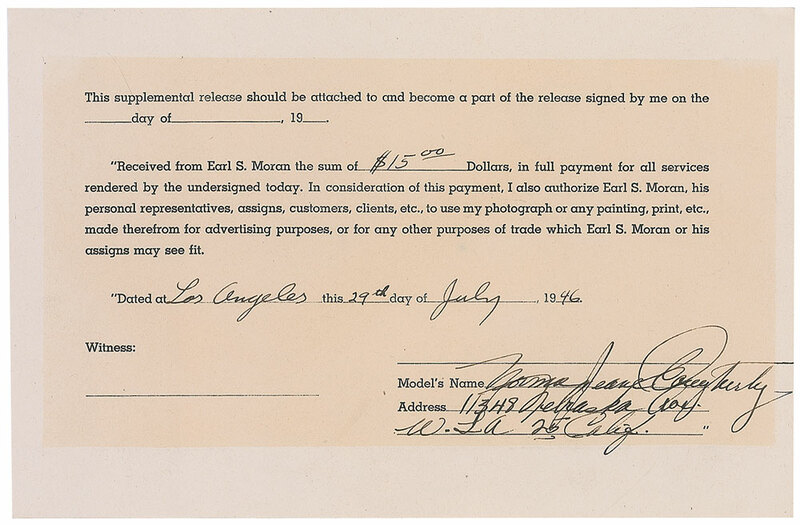 According to this signed release, on July 29, 1946, model Norma Jeane Dougherty was paid $15 for a session with Earl Moran. It was one of her earlier modeling gigs; shortly thereafter she would start going by the name Marilyn Monroe. In addition to her name, Dougherty writes her West Los Angeles address. This comparative bargain features a portion of the handwritten draft of Martin Luther King, Jr.'s book Stride Toward Freedom. The excerpt from Chapter XI, titled "Where Do We Go From Here? 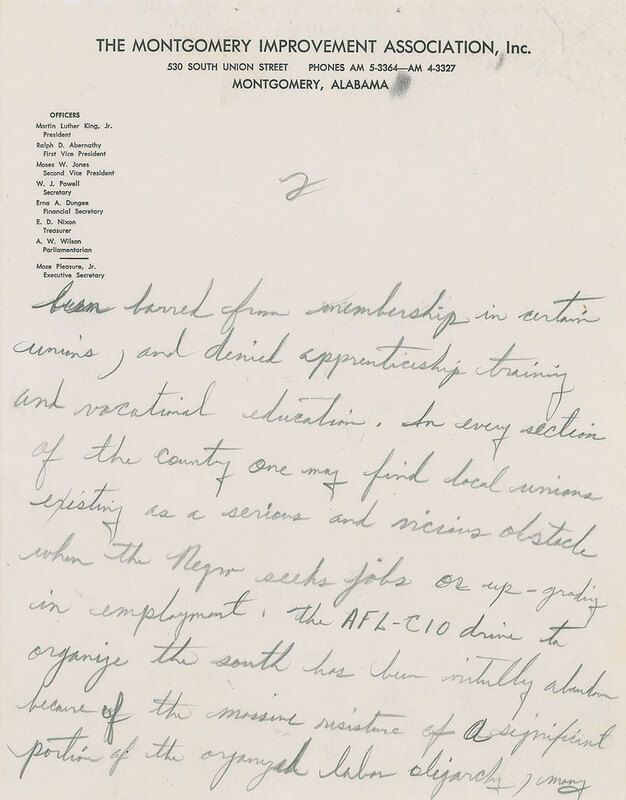 ", is written in pencil on a piece of paper with Montgomery Improvement Association, Inc. letterhead, where King was president at the time. 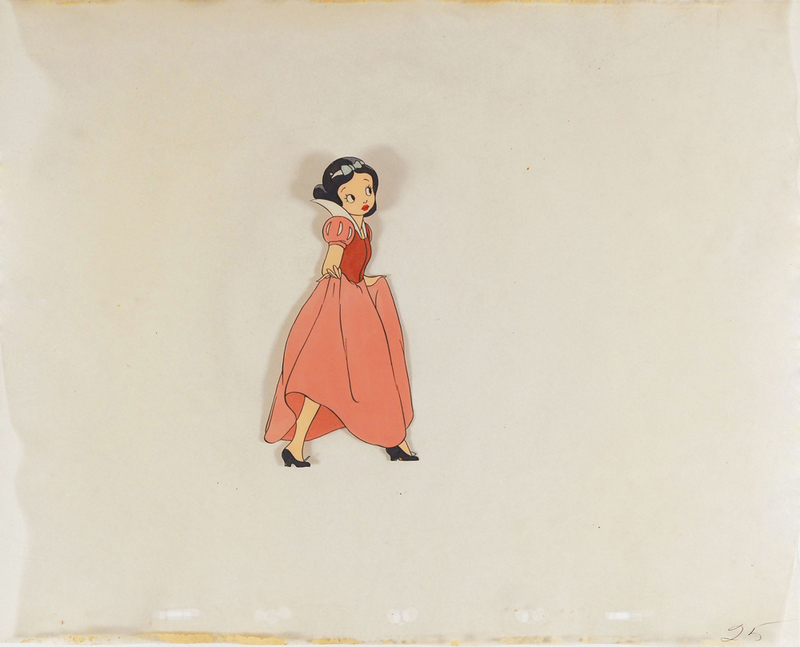 This far more whimsical artifact—which depicts the first ever Disney princess—is thought to be the earliest extant animated Snow White cel. It is distinguished from simply a color sketch by peg holes and a cel number at the bottom right. Created in 1935, two years before the movie was released, the Snow White shown differs slightly from the final product. Her round face and resemblance to Betty Boop were deemed too "cartoonish" by Walt Disney and later changed. This summer marks the 100th anniversary of the start of the First World War. Great Britain entered the war on August 4, 1914, and 10 days later Edward VIII, then the 20-year-old Prince of Wales, joined the Grenadier Guards (but he wasn't allowed to serve on the front lines out of concern that he might be taken hostage). Featured here are artifacts from the the Prince's service. 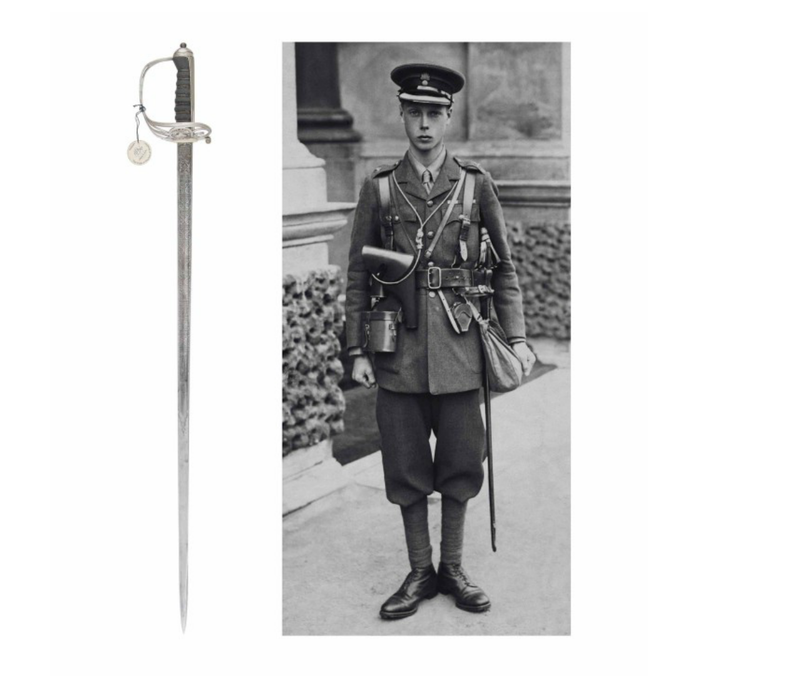 The sword is by Henry Wilkinson, with a steel blade, nickel-plated hilt bearing the regimental insignia, wire-bound rayskin-covered grip and original brown leather scabbard. The "Army Form B. 199. / RECORD OF SERVICES" is filled out by hand and under "Name and Address of next of kin" the Prince wrote "His Majesty, The King, Buckingham Palace, London." 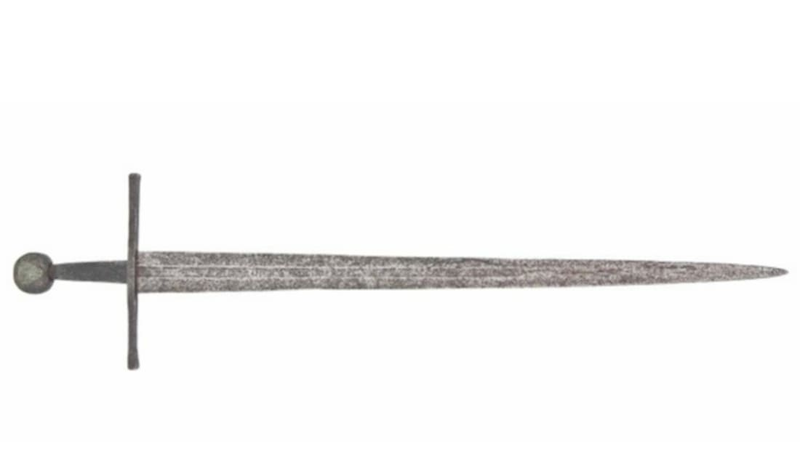 If your taste in weaponry runs a little older and lot more expensive, perhaps this medieval broadsword will strike your fancy. 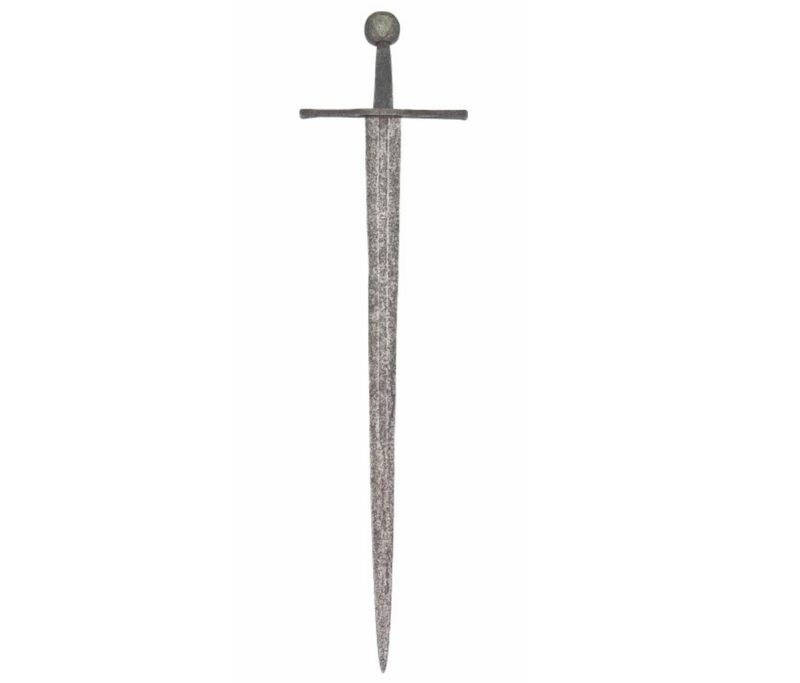 Although it cannot be proven conclusively, it is possible that this sword, which features a re-shaped Viking blade, was taken as a trophy by Humphrey De Bohun at the Battle of Hastings in October 1066. With its gold and enameled coat of arms on the pommel, this was not a war sword, but was handed down through the generations of the de Bohun family, Earls of Hereford and Essex. 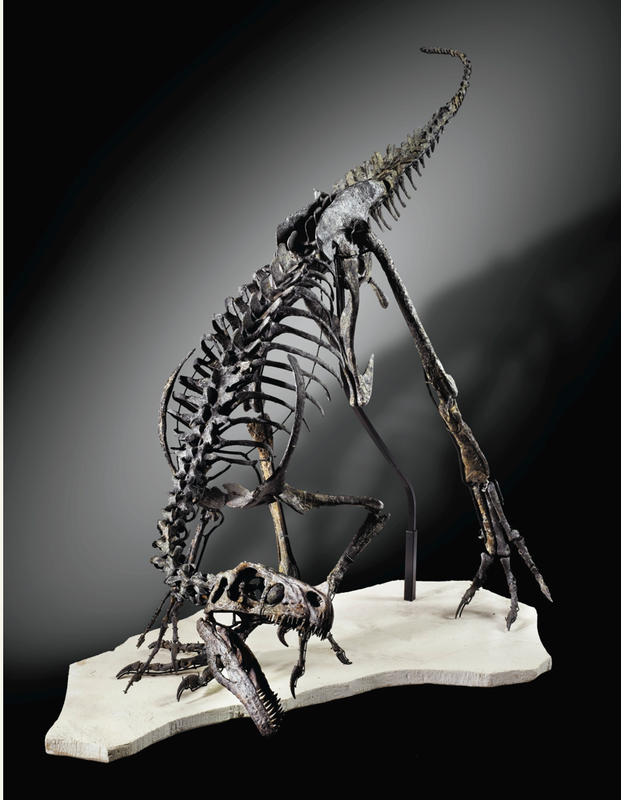 The only question is, what would you do with a small carnivorous dinosaur from the late Jurassic period?